In 1929 a few people with a passion for puppetry from only seven countries formed l’Union Internationale de la Marionnette (UNIMA) to promote and develop the art form. I joined UNIMA about 1970 to help satisfy my lifelong fascination with puppets. Now, thanks to the Internet, we can instantaneously connect thousands of likeminded people across national, political and religious boundaries around the world. Recorded programs, performances, conferences, classes and workshops are available around the clock and some are streamed in real time. Academic papers, publications and photographs pop up at a touch on the keyboard. This increased popularity beyond our wildest dreams offers innumerable opportunities to form international coalitions to work together towards our goal of mutual understanding through puppetry. Puppetry developed in virtually every part of the world. Now hundreds of hours of documentation available on the Internet make many traditional forms accessible. UNESCO recognized twelve of these as representing Intangible Cultural Heritage (ICH). Information, slides, and video footage of them can be seen on its web site. At least eleven additional traditions involving puppetry can be viewed on the Asia/Pacific Cultural Centre Database. Hopefully, viewers are tantalized to delve into the complexity of the performances and the depths of their communal roots. We can utilize traditional puppetry to reveal the common humanity underlying our cultural differences. One tradition of traditional art is change, so documentation plays an important role. After nearly forty years of dedication by hundreds of us puppetry enthusiasts, UNIMA posted an updated Encylopédie Mondiale des Arts de la Marionnette, published in 2009, on its web site in three languages, English and Spanish as well as French. 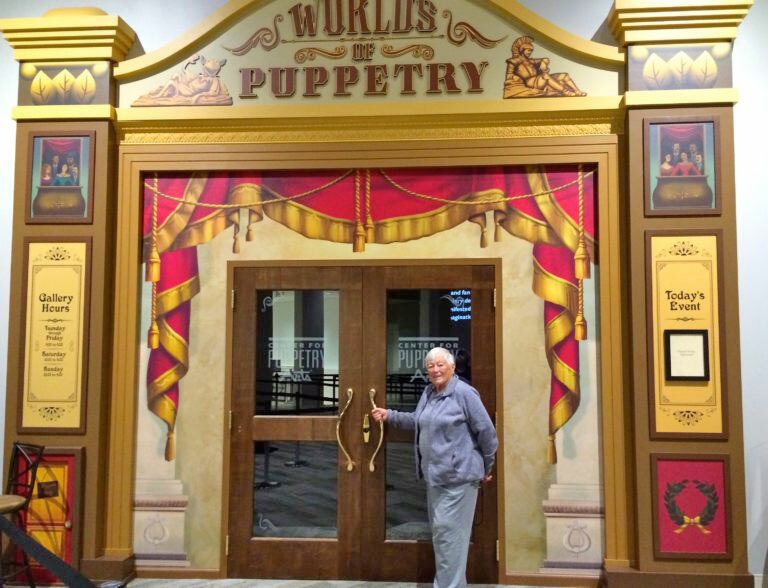 It puts the history of puppetry at our fingertips. It serves as a significant tool for the numerous museums around the world, which have acquired puppet collections, and the several others dedicated exclusively to the art form. Their collections and catalogs can be found online. Some are experimenting with 3-D imagery and replication for educational purposes. Facilitated by communication on the Internet, preservation of history contributes to future development. Hundreds of contemporary puppeteers from around the world post excerpts of their live performances on the Internet to attract audiences and presenters. UNIMA sponsors live performances, festivals, conferences and publications and posts coverage on its web site. As intended by the small founding group, the current membership of UNIMA, from over ninety nations cooperate, regardless of differences. With the exponential growth of exposure comes increased responsibility to our audiences and each other. Let us celebrate World Puppetry Day together as friends with shared dedication to the art form by posting the festivities on the Internet, which truly unites us! für Puppetry Arts, Atlanta, Georgia. Nancy Lohman Staub, a native of New Orleans, Louisiana, USA, acted as one of the planning editors of the Encylopédie Mondiale des Arts de la Marionnette. (World Encyclopedia of Puppetry Arts) and continued as a scientific advisor. She served on the UNIMA Executive Committee as a Vice-President, the Publication Commission, the Research Commission, the Heritage Commission and currently the Social Justice Commission. She directed the 1980 World Puppetry Festival and XIIIth Congress of UNIMA at the John F. Kennedy Center for the Performing Arts in Washington, D.C.
She acted as consultant in the formation of the Jim Henson Foundation in New York City to support the field of puppetry in America. She served as President of Puppeteers of America and Vice-President of UNIMA-USA. She is the founder and Advisory Committee Chair of the Center for Puppetry Arts Museum in Atlanta, Georgia. She published many articles and museum catalog essays. She directed a small puppet theatre in New Orleans, Louisiana for over ten years a very long time ago.